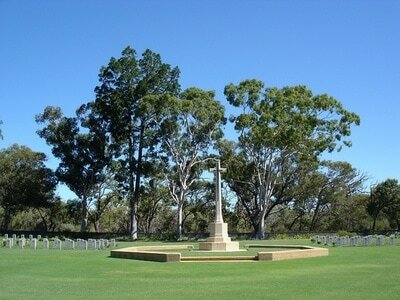 Perth War Cemetery was established by the Army in 1942. 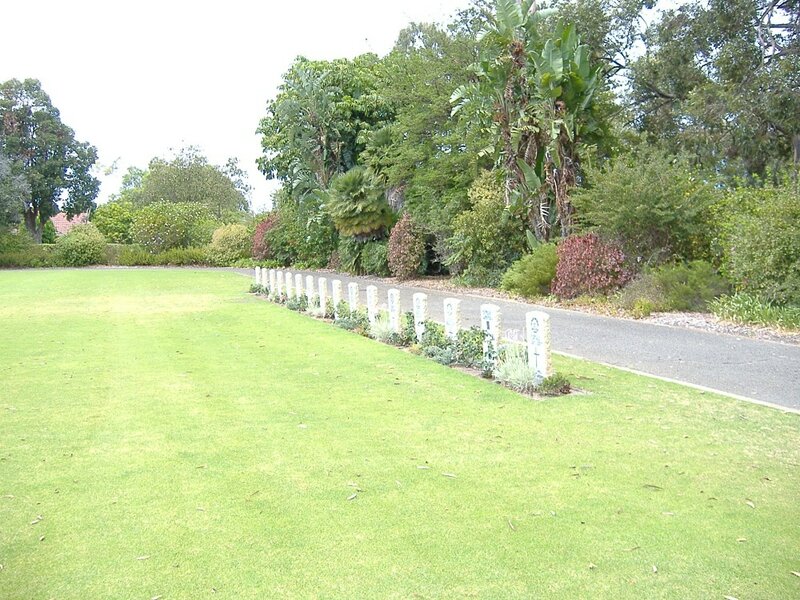 It was used for the burial of those who died of wounds in Hollywood Military Hospital after their return from operational areas, and of others who died from accident or sickness. A number of graves were also brought in from civil and temporary military cemeteries. 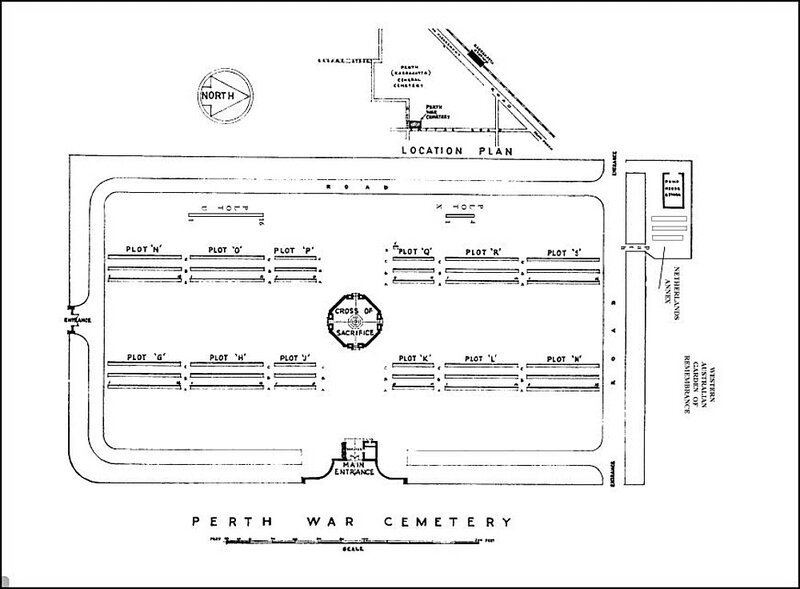 The cemetery was taken over by the Commission in February 1949. The writing desk in the Records Building at the main entrance was the gift of the Government of Western Australia on behalf of the people of the State. It holds the register of those buried or commemorated in the cemetery, and the visitors' book. In this building, too, is the WESTERN AUSTRALIA CREMATION MEMORIAL commemorating seven members of the Australian Forces who were cremated at Karrakatta Crematorium. 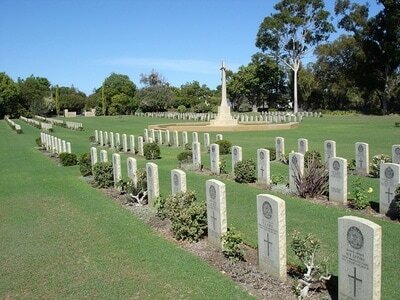 PERTH WAR CEMETERY contains 475 Commonwealth burials of the Second World War. Among them is "Bluey" Truscott (Sqdn. Ldr. Keith W. Truscott, D.F.C. and Bar, Mentioned in Despatches) the football star and famous Australian air ace, who was a member from its beginning of the first Australian fighter squadron to be formed in the United Kingdom. During the battle of Milne Bay his Squadron - No. 76 - together with No. 75 Squadron played a vital part in halting the Japanese advance on Australia's doorstep. 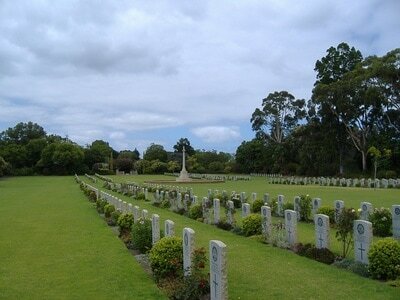 The cemetery also contains 16 burials of the First World War. 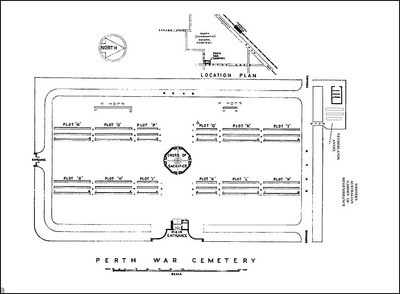 Immediately adjoining Perth War Cemetery, and originally part of it, is an enclosure known as the PERTH WAR CEMETERY NETHERLANDS ANNEXE, with a separate entrance on Smythe Road. Here are buried seven Dutch servicemen and 21 Dutch civilians, five of whom are not identified. These civilians were evacuees from Java who were flown to Australia. 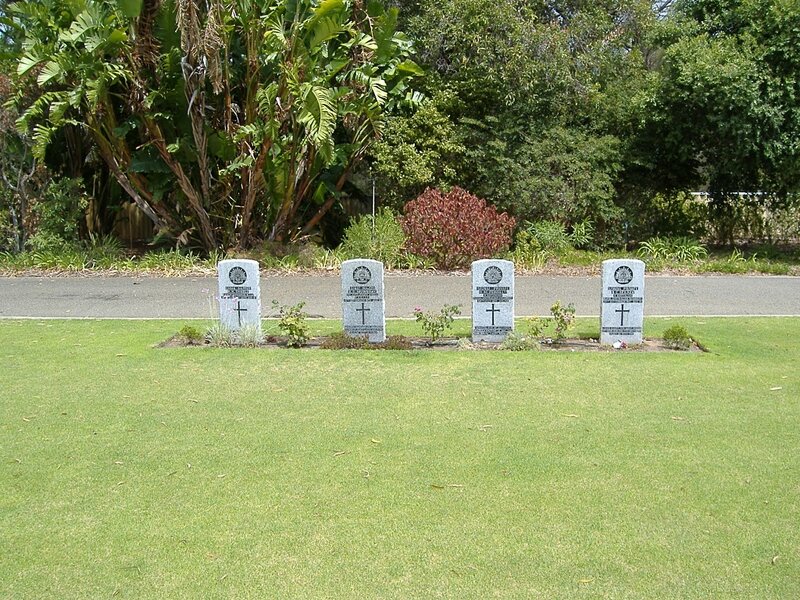 As the seaplanes came to rest in Broome harbour they were attacked by Japanese fighter aircraft and all were sunk. There were many survivors, but a number whose bodies were not recovered also lost their lives.